About - Just 4 The Kids Daycare, LLC. The best care in town. Just 4 The Kids Daycare, LLC. ​​At our center the teachers are completely dedicated to the care, education, and nurturing of young people. We continually train and develop our great teachers to be better and better. Our staff provide a consistent, nurturing and supportive atmosphere for all the children we care for. Cameras are placed in strategic places to further ensure the safety of the children. We take pride in excellence and our love for children. 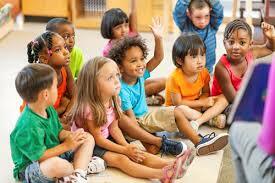 ​We have over 20 years experience that includes Head Start Teachers, Substitute Teachers and child development. We are licensed through the State of Alabama, we also have certification with UCP to care for special needs children, we partner with the ARC for their Early Intervention Program, as well as certified in CPR & First Aid with AED.